Alaska is an intriguing, culturally diverse destination with thousands of miles of scenic coastline that make it a natural draw for cruise ships. Each of the ports offers a different perspective on life in the most northerly U.S. state. Ketchikan is a center of Tlingit (pronounced KLING-kit) Indian culture, while Skagway is Gold Rush-era oriented. Petersburg's theme is Norwegian, Valdez's is the Alaska Pipeline (it's the southernmost terminal), and Sitka's is Russian. Cruise travelers enjoy the history and the frontier ambience of the 49th state, but its wildlife and scenery are the main attractions. Towering mountains, massive glaciers, tranquil (and sometimes turbulent) waterways, countless miles of rainforest and Arctic tundra are the magnets for cruise passengers. Whales, eagles, bears, moose, seals and seabirds may be seen from your ship, in port or on a shore tour. Alaska's biggest shortcoming is the weather. By booking an Alaska cruise, travelers are trading a week of hot weather at home for the possibility of grey or rainy days and chilly midsummer temps. Helicopter and floatplane tours are regularly canceled for imperfect conditions, and no tour can guarantee wildlife viewings. But, if you're willing to be flexible and take your chances, a visit to Alaska will not disappoint. 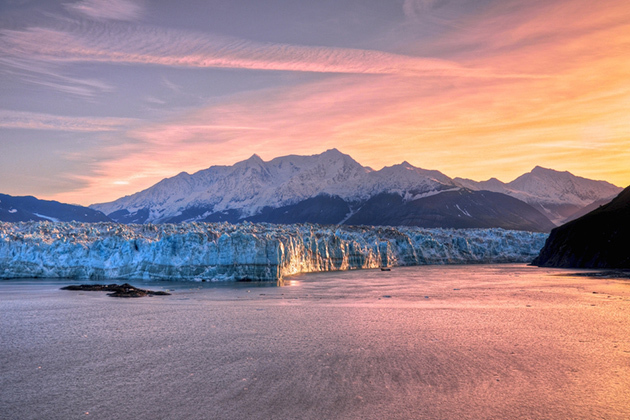 The Alaska cruise season runs from May to September, with high season typically June through August. However, the best time to go is rather subjective. June, July and August are the warmest months (highs: 50's - 70's), but they also can be quite rainy. The further into the summer you are, the better your chances of seeing wildlife on the various expeditions; these months are the best bets if you want to go fishing as a shore excursion. May and September offer cheaper cruise fares and fewer crowds; however, shore excursions have a greater chance of being canceled than they do in high season -- especially boat and helicopter tours. May is one of the driest months in the Inside Passage region, but you may find snow on the ground -- great for scenic photos, less ideal for hiking. September offers the best possibility for catching the Northern Lights, as well as great end-of-season shopping deals for souvenir-hunters. However, at this time, the Gulf of Alaska is the choppiest and not recommended for travelers who get seasick. Also, Denali National Park has been known to close in September due to snow. The two biggest Alaska operators are Princess and Holland America but nearly every major cruise line has at least one ship in Alaska each summer. You can also choose from luxury cruises on smaller ships and expedition cruises that focus more on up-close-and-personal nature and wildlife encounters. Inside Passage: These seven-night voyages sail roundtrip, typically from Seattle or Vancouver, making air travel arrangements easier and usually less expensive than they are for one-way cruises. The Inside Passage is a sheltered waterway between Pacific Coast islands that lends itself to calm, scenic cruising. The main ports of call are Juneau, Skagway and Ketchikan, but some ships stop in Icy Strait, Haines or Petersburg; sailings from Seattle must call on a Canadian port (typically Victoria or Vancouver). Gulf of Alaska: The gulf itinerary is a seven-night one-way cruise between Seattle/Vancouver and Seward/Whittier, the gateway ports for Anchorage. Would-be cruisers sometimes mistakenly believe that a Gulf of Alaska itinerary does not offer passengers the opportunity to visit the Inside Passage ports. It does. To get between Anchorage ports -- located on the stretch of water north of Glacier Bay and the south side of the Kenai Peninsula -- and either Seattle or Vancouver, it is necessary to pass along the Inside Passage coastal strip. 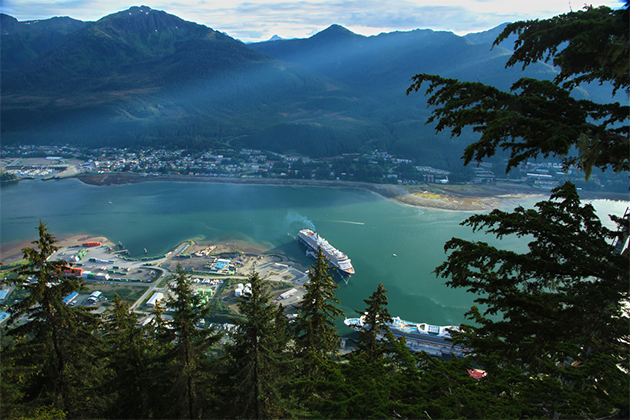 A typical Gulf of Alaska cruise will probably include the likes of Ketchikan, Juneau and Skagway, as well as Sitka. Longer Sailings: A few lines offer 10- to 14-night Alaska cruises, often roundtrip or one-way from San Francisco. 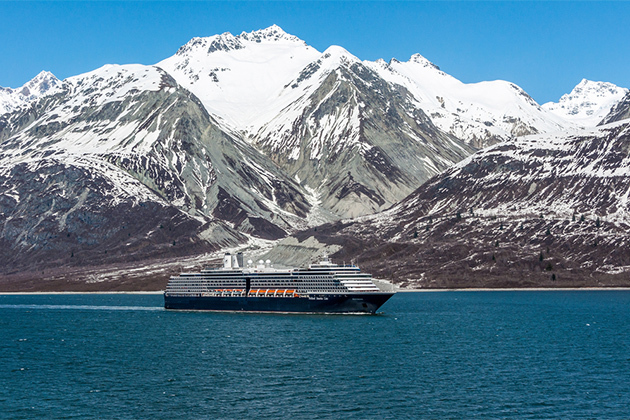 Holland America offers a two-week trip that actually docks in Anchorage, with options for long day trips into the interior. Expedition Cruises: Cruisers can opt for a different kind of trip on the smaller expedition vessels of lines like Lindblad Expeditions These cruises typically focus more on nature and wildlife, rather than the big-name ports. The advantage of these small ships is that they can go to places that the big boys can't -- for instance, the Indian village of Kake, Wrangell Narrows and a dozen tiny inlets too shallow for the mega-ships. The ships have the maneuverability to follow aquatic wildlife (within legal limits) when it's spotted. Many also employ Zodiac rafts, kayaks and hiking trips to bring passengers closer to glaciers and creatures. Ketchikan Alaska Creek Street is the main attraction there. Built on pilings over the water, it once was the city's red light district and now is lined with funky stores and restaurants overlooking canoeists and leaping salmon. Ketchikan is the gateway port for scenic tours of the Tongass National Forest and Misty Fjords, as well as fishing trips. Be prepared: It's one of the rainiest cities in the U.S.
Juneau Alsaka In Alaska's capital, you can kayak, canoe or hike close to the Mendenhall Glacier. In town, the Mount Roberts Tramway takes riders 1,800 feet up for gorgeous views and hiking trails. Or enjoy honky-tonk music and wholesome grub at the raucous Red Dog Saloon. Skagway Alaska Skagway came into being in the last part of the 19th century as the nearest port of entry for stampeders making their way into the Klondike in search of gold. Today, the narrow-gauge White Pass & Yukon railroad is a must for cruise passengers. It follows the staggeringly photogenic route the gold-seekers took -- on foot -- over the pass to the Canadian border. In town, take a Gold Rush history tour, or spend your own gold at the various shops. Sitka Alaska This was once home to the Tlingit Indians, before the Russians moved in. Many remnants of Alaska's Russian (St. Michael's Cathedral, the Russian Bishop's House) and Tlingit (Clan House, Totem Park) past are found there. Another highlight is the Alaska Raptor Center, a not-for-profit facility dedicated to healing injured birds of prey, primarily American eagles. Scenic cruising. 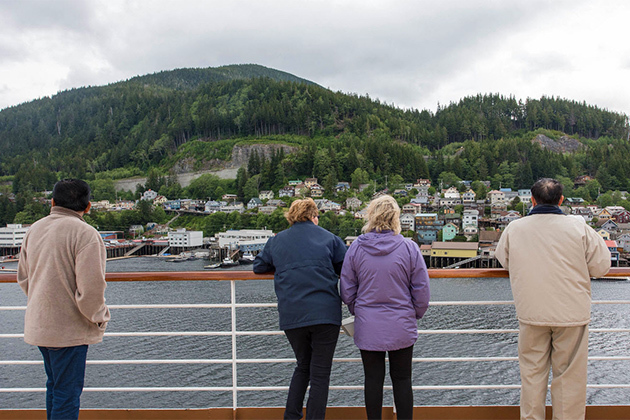 A key part of any Alaska itinerary is scenic cruising. 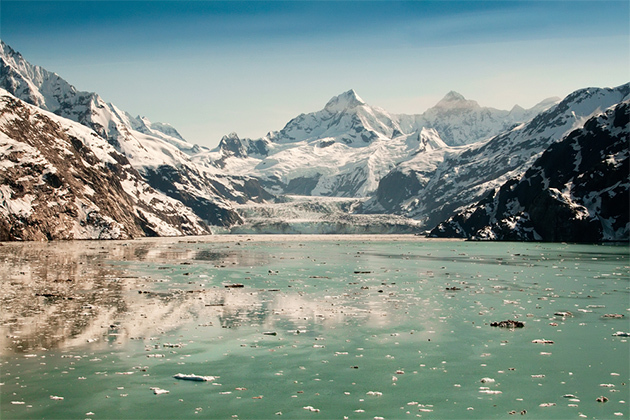 In addition to the Inside Passage, ships may visit Tracy Arm, Hubbard Glacier, Glacier Bay, College Fjord or Sawyer Glacier. Bring binoculars and warm outerwear to best enjoy the views of glaciers calving, aquatic life and birds, and gorgeous scenery. Some ships will bring naturalists onboard to narrate. Alaska has much to offer that can only be experienced by touring ashore, either before or after your cruise. The one-way gulf itineraries lend themselves more readily to Alaska touring, as they begin or end in Alaska. You can tour on your own or book a cruisetour that combines a cruise and a three- to seven-night land tour. Popular destinations include Denali National Park (for wildlife viewing), Talkeetna (best place for Mt. McKinley views) and Fairbanks (Alaska pipeline). Cruisetour land packages are also available to the Kenai Peninsula, Arctic Alaska and Canada's Yukon Territory. A word of caution: If you are going to run into choppy seas, it's more likely to be in the open waters of the Gulf of Alaska than in the largely protected stretch of the Inside Passage. If you're concerned, book a northbound cruise so you'll cruise the Gulf at the end of the trip when you have your sea legs. If you get seasick easily, also think twice about roundtrip cruises from Seattle that spend two days cruising in the open ocean. Weather is unpredictable in Alaska. Even on warm days, it can be quite cool cruising by a massive glacier. The trick is to dress in layers of clothing so that you can peel off slowly as the thermometer dictates. You will want to pack a bathing suit and a very warm fleece jacket -- and you'll likely wear both at different times. Be prepared for bugs, too. To minimize joining the masses during high season, select a ship that sails an off-schedule (midweek departures are often a good indicator) itinerary.